It’s that time of year again! Austin City Limits is upon us, ladies and gentlemen. If you are attending the festival, check out a list of activations on site for festival goers to enjoy! ACL Bodega: Forget to bring snacks? Sunscreen? The ACL Bodega has you covered! With produce to trail mix to rain ponchos and more, this makes it convenient to purchase festival necessities. 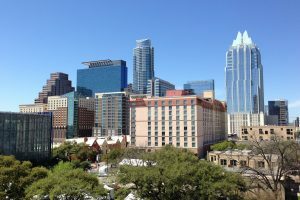 Austin Kiddie Limits: Good news! Children under 10 years old get in free with their parents. Near Barton Springs Road, there is a family friendly entrance to enter the shaded location. Austin Kiddie Limits makes baby changing stations available to parents, in addition to providing fun, interactive activities for children! Open from 11 AM- 7 PM daily. ACL Wine Lounge: For all the esteemed wine lovers out there! This lounge is brand new, and conveniently next to a main stage. This way, you don’t miss anything. We hear they have an amazing menu this year, so make sure to check it out! Camelbak Hydration Station: It goes without being said that hydration is key at any festival. On festival grounds, there will be plenty of water stations for guests to stock up on free, filtered water, courtesy of Camelbak. This is a must! Barton Springs Beer Hall: Take a break from the musical craziness and kick back with your favorite IPA. At the Beer Hall, guests can view the weekend NFL and NCAA games on the big screens in between your favorite artists’ sets. Ride Austin: Safety is key when navigating Austin this weekend. RideAustin is helping you get to and from ACL, and is also the world’s only nonprofit rideshare. Make sure to download the app, and use their promo code, ACLFEST17, for $5 in credits. We hope everyone has a fun-filled, safe weekend at Austin City Limits!